We've heard plenty of taxi horror stories; this one though has a curtain call on the side of justice. A recent video has surfaced showing a would-be robber holding a taxi driver at gunpoint in Pennsylvania. The poor driver, obviously in a panic-stricken state, tries to convince his attacker that he has no money. What happened next is rather unexpected, and the product of really incredible timing. 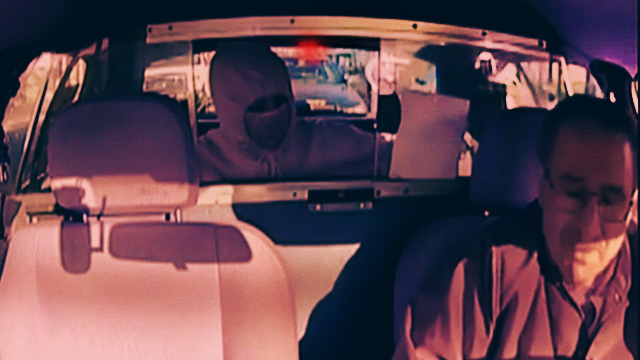 As you can see in the taxi surveillance video, which was obtained by WFMZ-TV, a TV station in Pennsylvania, the hooded criminal (literally) didn't see the police coming. As he was about to rob the driver blind, a cop car pulls up behind them. Deputy Terry Ely approaches the taxi after it failed to move when the light turned green. The rest, as they say, is (stupid criminals) history. The wrongdoer, identified as 18-year-old Victor Martinez-Herrera, was arrested, jailed, and charged with robbery.